It’s a common story that, fed up with big city insurance practices, prairie citizens take up a common cause and create their own insurance company to provide where other insurers either overcharge or won’t insure at all. What’s less common is when it’s the province of Saskatchewan that acts against the big city insurers. That’s precisely what happened in 1945, a year after the first overtly socialist government in North America was elected in the province. The CCF Party (later the NDP) felt its residents were being exploited by out of province insurance companies on price, and it saw the outpouring of insurance revenue that could be captured locally. While the introduction of fire insurance ran rather smoothly, auto insurance was another matter entirely. The idea of government insurance was radical at the time, and other provinces refused to recognize policies issued by SGI as legitimate insurance. Saskatchewan motorists visiting Manitoba could be required to post bonds or be detained after collisions since Manitoba considered them to be uninsured drivers. It has two distinct operations, the SGI Canada and Saskatchewan Auto Fund. SGI Canada offers the property and casualty insurance products in 5 Canadian provinces. These provinces include Manitoba, Alberta, British Columbia, Ontario and Saskatchewan. In Saskatchewan, they operate as SGI Canada and in Alberta, British Columbia and Manitoba they operate as SGI Canada Insurance Services Ltd. In Ontario, they operate as Coachman Insurance to offer insurance products and services. Their insurance products are sold by around 2000 employees and 500 insurance brokers who are independent. They not only market the insurance products but also service existing policies sold by their brokerage. SGI Canada offers business, farm and auto insurance in Alberta. The Saskatchewan Auto Fund operates as the mandatory auto insurance program in Saskatchewan. They also assist with driver and vehicle licensing and registration. They financially sustain by break-even basis operations and do not receive funding from government and do not pay dividends to the province. The SGI Canada head office is located in Regina, Saskatchewan. There are 21 claim centers and five salvage centers spread over 13 communities in Saskatchewan. SGI CANADA gives discounts to auto insurance consumers based on many criteria. You may get a discount if you had an insurance policy for 3 years or more. If you have more vehicles than drivers then you may get a discount. When you insure more than one private passenger vehicle then you may qualify for a discount. In case you are aged between 36 years to 75 years then you may be eligible for a discount. You may get a 10% on your car insurance policy when you also have a home insurance policy with SGI Canada. Up to $1,000 free of charge on Loss of Use coverage when your car has SGI insurance for physical damage. This covers expenses for taxis, rental or public transportation up to $1000. You could qualify for a free of charge Accident Rating Waiver if you have a clean driving record. 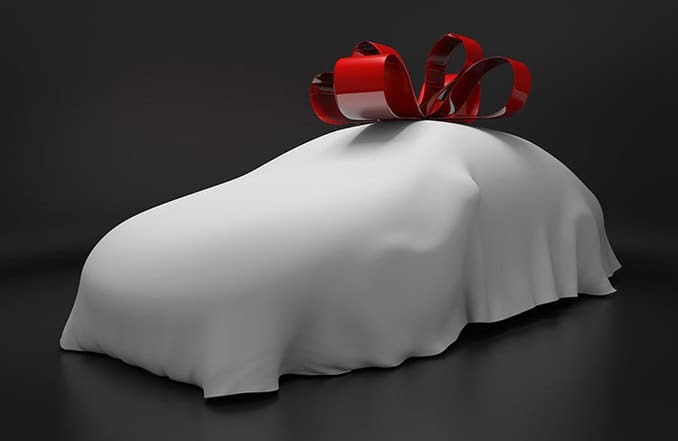 The Waiver of Depreciation coverage on new vehicles could be given free of charge to you for a period of 30 months. SGI Canada offers mandatory car insurance as per law in the province. There are options to increase your coverage limits or deductibles as per your risk. You may optional car insurance coverage at an additional cost from SGI Canada as follows. Accident forgiveness: This will protect your rates that will not increase for the 1st time that you are in an at-fault accident. Loss of use coverage: You may claim for expenses for a rental car when you cannot use your car due to theft or damage. New vehicle depreciation coverage: Protect the value of your brand new car for a certain period of time from depreciation. Seasonal and specialty vehicles coverage: Available to classic car, motorcycle, RV, ATV or other specialty vehicles. Since then, the bugs have been worked out and not only is SGI car insurance recognized, the company now operates from Ontario to British Columbia, providing property and casualty insurance across the region. SGI is the underwriter and SGI Canada is the seller, except in Ontario, where Coachman Insurance represents the brand. SGI’s broker network is about 300 strong and has an additional 450 motor vehicle license issuers in Saskatchewan alone. Employing about 1,700 people, its head office is in Regina, with a branch office in Winnipeg. SGI also runs 20 car insurance claims centres in 13 Saskatchewan cities. If you wish to cancel your auto policy then you may contact your local broker. You may use the online tool to locate your nearest broker location. If you wish to send your cancellation request in writing then you may mail it to the corporate head office or one of the provincial branches. In case you cancel your policy early then SGI may issue a refund to you. This will depend on the number of months remaining on your car insurance policy. You may pay a cancellation charge as per their cancellation rules if they calculate your refund based on short rate method. To file a car insurance claim you may first contact your insurance broker who will help you with the claims process. In case you cannot reach your insurance broker then you may contact the claims department and call 780.822.1228 or 1877.435.1484. The claims department is available on weekdays from 8 am – 4.30 pm MST. If you wish to fax your claim documents then you may fax it to 780.435.1489 or 1877.435.1489. The claims department email address for auto insurance policies is abautoclaims@sgicanada.ca. You may reach the claims department after business hours on weekends and evenings by calling 1-800-647-6448. To get an auto insurance quote you may contact your insurance broker. You may use the online tool to locate your nearest broker. Your search can be based on postal code, location or broker name. If you wish to directly speak to SGI Canada and do not prefer to use an agent then you may call 780.822.1228 or 1877.435.1484. The fax number to send your request is 780.435.1489. You can also send an email to query about a car insurance quote and send it to inquiries.ab@sgicanada.ca. There are many methods that you could use to get in touch with SGI Canada for all your insurance needs as follows. Broker: You may check for your local broker or address of your current broker using the online tool. To search, you may enter the broker name, location or postal code. Mail: If you wish to write to SGI Canada then you may post it to Suite 303, 4220 98 St. N.W., Edmonton, AB T6E 6A1. Phone: The contact number to call SGI from across Canada is 780.822.1228 and 1877.435.1484. Fax: You may send a fax to 780.435.1489 or 1877.435.1489. Email: There is an option to email your queries to inquiries.ab@sgicanada.ca. Payments: You can use the online service to pay for your car insurance policy. In order to use this service, you may need your personal car insurance policy number and the name of the policyholder. SGI has been serving Alberta for 11 years. Well, most of Alberta, that is. The company took a look at Fort McMurray at the time but decided that its cost of business would be too high to serve the market to its satisfaction. Therefore, with the wildfires of 2016 that devastated the town, SGI will not realize a high volume of claims. As of early June 2016, the company received 11 home insurance claims and 55 on the car insurance side. These likely came from existing SGI customers who moved to the Fort McMurray area and thus were insured as an exception to the company’s rule. We are not affiliated and make no representations or warranties, recommendations or endorsements of SGI Canada Insurance. This article is our review of SGI Canada Insurance for information purposes only. The logos, trademarks, and copyrights mentioned in this article belong to the SGI Canada Insurance.